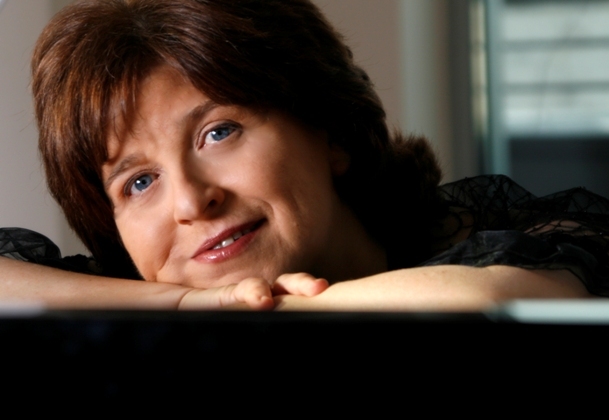 For her last Vancouver appearance, Dina Yoffe played a programme alternating Chopin’s Preludes with those of Scriabin, an experiment that was enthusiastically received by audience and critics alike. A graduate of the Moscow Conservatory, where she studied with the legendary Vera Gornostayeva, Yoffe began her active performing career while still a student, performing in the Soviet Union, Germany, Czechoslovakia, and Poland. Respected and revered as both teacher and performer, Dina Yoffe has collaborated with conductors such as Zubin Mehta, Neville Marriner, Valery Gergiev, Gidon Kremer and Yuri Bashmet. She is also an active performer in chamber music, and has collaborated with some of today’s greatest musicians. In teaching and performing Chopin, Yoffe strives to get to the heart of the music, works to achieve absolute naturalness in the music making, and stresses textual fidelity to the printed score. Lauded for the musicality and brilliance of her playing wherever she performs, Dina Yoffe is returning to share her wonderful artistry with our audience. Come and experience for yourself the playing of this “sovereign master of her art” (Süddeutsche Zeitung). Franz Schubert’s Sonata in D major (D. 850) dominates the first half of Yoffe’s programme. Known as the “Gasteiner” sonata, this work was composed in 1825 while the composer was vacationing in the spa town of Bad Gastein. Our artist continues her recital with a complete performance of Chopin’s Waltzes. No two waltzes of Chopin are alike – and the mood for these “dances for the soul” ranges from spirited outbursts to melancholic reflections.